Hello all! Today has been rather a busy one, and show’s no signs of slowing down just yet! In spite of that, I would be remiss if I did not take the time to acknowledge the rather special anniversary which falls on this day, of which some people may not be aware. 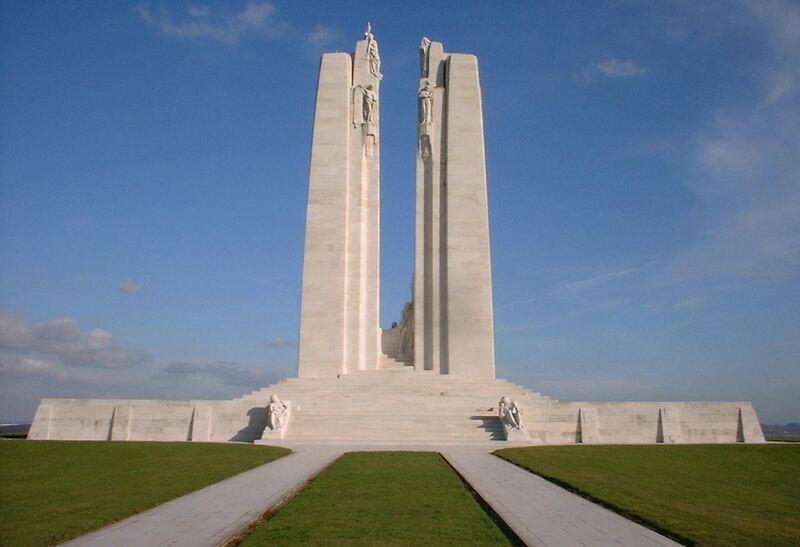 You see, today is the 96th anniversary of the Battle of Vimy Ridge, a major event in my nation’s history and a defining moment for all Canadians. 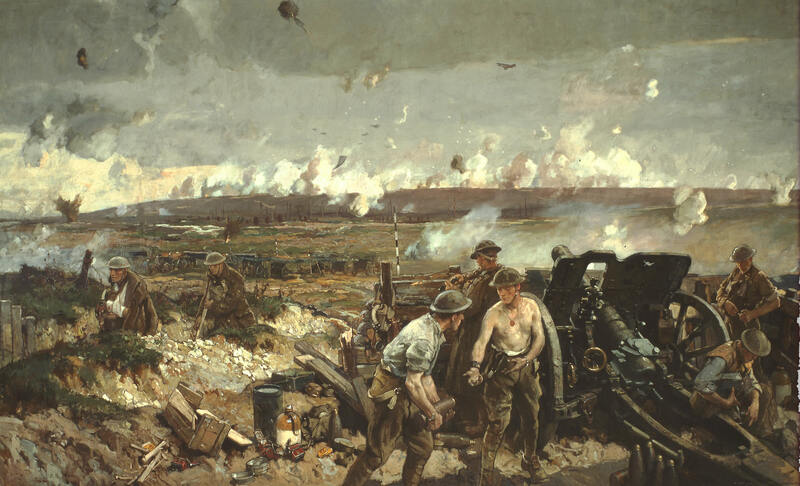 Though many people outside of Canada may not know much about it, the Battle of Vimy Ridge was one of the most significant battles of World War I and a key moment in Canada’s history. Taking place between April 9th and 14th of 1917, it was not only a Canadian-led offensive, it was also the only Allied offensive victory in the war to date. And just as importantly, we in Canada consider it a defining moment in our history, when our country ceased being a colony and became a nation. Surprising then that it is often considered a footnote to the larger campaign known as the Battle of Arras or the Nivelle Offensive, one of many disastrous offensives fought by the Allied armies during the war. 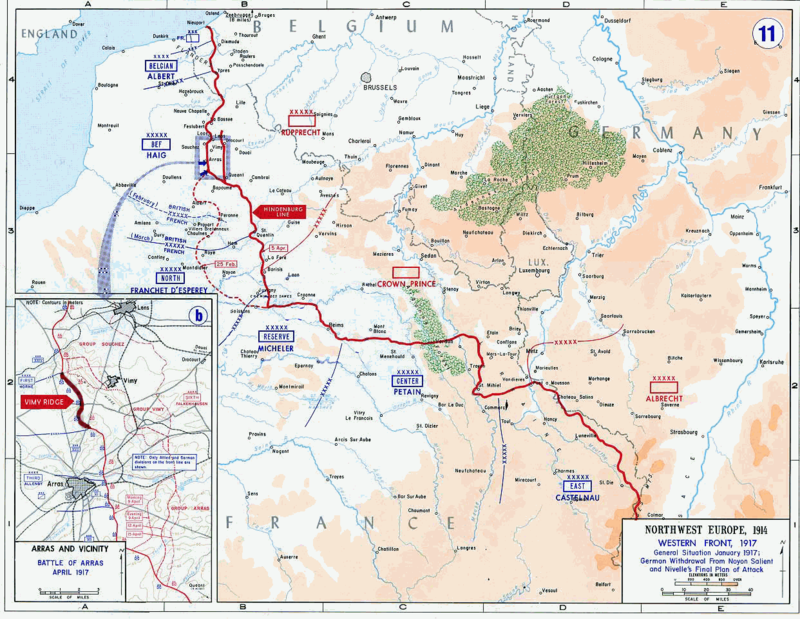 Like all offensives of its kind, the purpose of the assault in the north-eastern region of France was to break the stalemate that had existened between the Allied and German lines since 1915. It was believed that if this could be achieved, the numerically inferior German forces would finally be beaten and the war ended. And after so many bloody battles and worsening situations on home front – with shortages setting in and morale running short – the allies were desperate for their big breakthrough. Relying on armies fielded by the French, British, and all her dominions – Newfoundland, New Zealand, and Canada – the attack would take place in several key sectors along the Western Front. 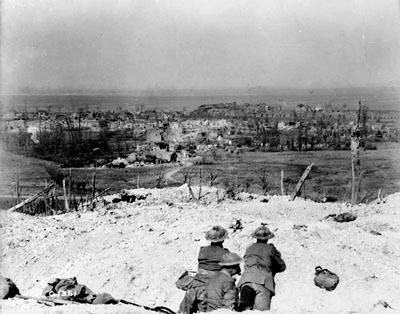 While the French struck at German positions along the Chemin des Dames ridge, and the British and most of the Dominion armies struck at positions around the town of Arras, the Canadian Corps – led by General Arthur Currie – was to take the highground known as Vimy Ridge. Despite promises of a speedy battle after a massive bombardment, the French made little gains against the dug-in defenders and lost almost 200,000 men. The British fared slightly better, achieving some gains but at the high cost of 158,000 men. Only the Canadians achieved their objectives completely and promptly, taking the Ridge in just three days and with acceptable losses. Of the five divisions totaling nearly 170,000 men, only 3,598 were killed with another 7000 wounded. On the other side, the Germans – who were well dug-in and defending an elevated position – suffered at least as many killed and wounded, plus an additional four thousand captured. This was made ever more impressive considering that the French and British, during a previous attempt to take the Ridge, had lost a good 150,000 men. This was unprecedented for a World War I battle, and earned the Canadian Corps the status of elite “Shock Troops”. For the remainder of the war, Arthur Currie and the soldiers under his command would be the ones who were seen as being able to “get things done”. During the battle of Passchendale, a brutal, bloody, muddy offensive, the Canadians were called in to accomplish the offensive after the British efforts faltered. During the final 100 days of the war, when the German lines were collapsing, the Canadians led the way for every single push. And yet, all of this was made possible due to one simple thing: sound planning. As the first offensive action that Canadian commanders were able to plan on their own, they took advantage of some rather novel ideas and technologies to overcome the problems of trench warfare. These included the rather revolutionary concept of using triangulation and wind measurements to determine the position of enemy artillery, and destroy them ahead of time. Creeping barrages were also planned to give the advancing troops continuous fire support, rather than simply laying down a barrage and then stopping it before the infantry began to march. This tactic had already been proven ineffective, as the Germans simply dug in deeper to avoid preemptive barrages and also had time to emerge from their dugouts once the shells stopped falling to shoot at the advancing troops. By timing the artillery with the advance, any Germans brave enough to fire on the Canadian Corp risked being blown to pieces. But most importantly, the planned offensive had been meticulously planned for month. 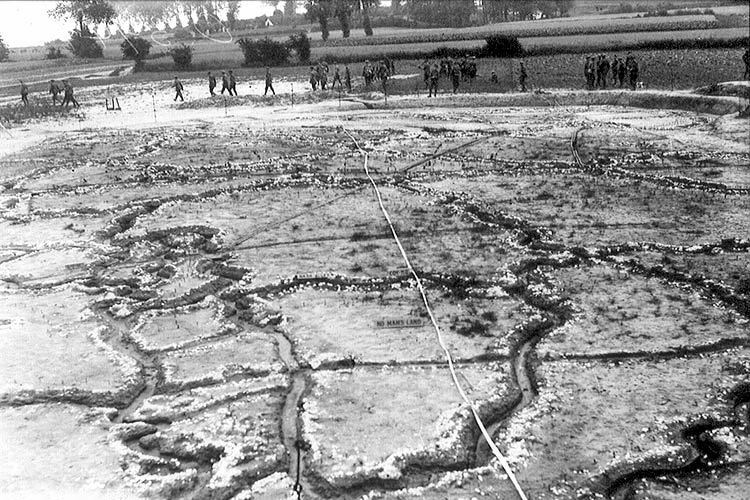 Spotters mapped out 80 percent of the Ridge in advance, full-scale replicas of the terrain were built to rehearse unit tactics, and individual officers were assigned maps and time tables. All of this was a break from conventional philosophy, which held that troops did not need to be familiar with the grand strategy and should march as one. Though many a military “expert” of the time found much of this suspect, they admitted dubiously that the Canadians’ plan couldn’t be any worse than the British tactics at the Somme, which cost the lives of 623,907 troops, 24,000 of which were Canadian. As such, the Canadian Corps got the go ahead. 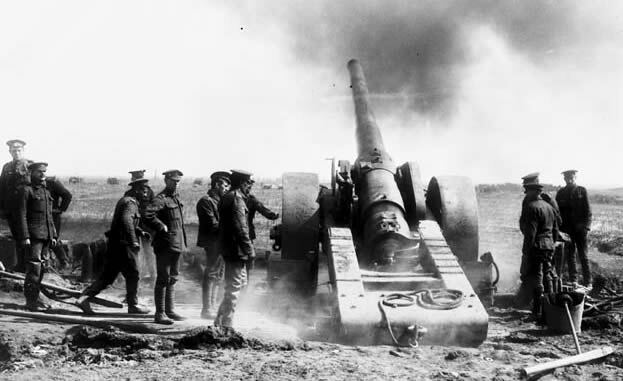 For weeks, Canadian and British artillery began pounding the German positions in preparation for the assault. 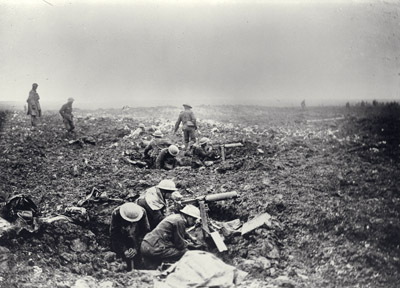 Then on April 9th, an Easter Monday morning amidst rain and freezing cold, the Canadian Corps struck. By the end of the first day, they had accomplished most of their objectives, but fighting and consolidation would continue for another four days and Canadians mopped up the German positions and took prisoners. When the dust had settled, the valour of the troops, the originality of the plan, and the success where larger, more established armies had failed all contributed to a new nation’s pride. The battle was hailed as the first allied success of the long war, achieved mostly due to the innovation of using a creeping, continuous massive artillery barrage to protect squads of advancing troops. Both sides used the tactic in future battles. Today, the Canadian National Vimy Memorial stands as a proud reminder of what Canadians accomplished at Vimy and throughout the war. As a young nation, nominally independent but still very much tied to the British Crown, we had done what others could not and earned a reputation as stalwart soldiers and faithful allies that is still acknowledged to this day. The monument, as well as many of the wartime features of the Ridge, are maintained by an army of committed volunteers and government assistance. And I for one very much look forward to visiting it in the spring of 2014, when the centennial of World War I is being marked all over Europe, and legions of Canadians and other nationals descend on Flanders and Northern France in order to pay their respects. In addition to the many monuments which mark the landscape, it is a testament to the futility of war, but also a symbol of a nation born in fire. The Future is Here: The Smart Bandage! This last concerns me. It seems like once we forget how horrific a ground war can be we’ll rush headlong into a new one. It’s analogous to ppl who don’t vaccinate their kids. No one remembers how horrific polio is, so they are more worried about what the vaccine will do to them, rather than what it prevents.